Purple Lemon Kush x Jack Herer, orPurpleLemon Jack for short, is an alluring hybrid strain with a lively, energetic effect on the mind. Purple Lemon Jack is defined by its unmistakably distinct sharp and lemony aroma. 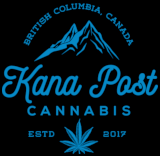 This rare, prized strain is the result of many years of research and cross-breeding by a private artisan collective of cultivators in British Columbia. Green Society was fortunate enough to receive some of this strain from their exclusive collection. Purple Lemon Jack is a 80/20 sativa-dominant hybrid strain. The average THC levels of Green Societys Purple Lemon Jack on average range between 18%-22%. This strain is remarkably potent for a sativa-dominant hybrid! The dynamic psychoactive effects of this strain make it great for general use and can be recommended for day-time or night-time usage. The sativa effects are very prominent, and much like its parent, Jack Herer, it induces users into a euphoric, exhilarated and focused state of mind. The sativa high is then off-set by a mild, relaxing body buzz and an insatiable case of the munchies. Lemon Jack is medically recommended for the treatment of depression, stress and lack of appetite. Purple Lemon Jack plants typically yield very dense, evenly shaped coney buds. The abundant blend of purple, orange and green hues make this strain a fascinating, eye pleasing flower indeed. Every dense nug is covered in a substantial amount of fluffy, white trichomes. Purple Lemon Kush x Jack Herer is distinguished from other strains due to its intricately distinct aroma. The fragrance of this strain encapsulates the essence of a piney-mint, vanilla, and fresh, zesty lemon-rinds.